In the 1000 piece jigsaw puzzle, Happy Santa by Piatnik, a holiday ridden illustration of a happy looking Santa Claus is depicted. 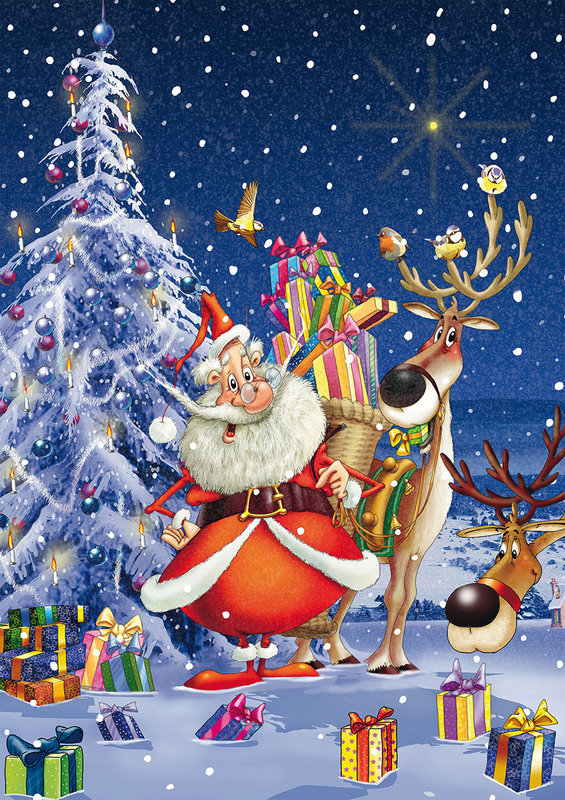 While he stands in front of a large Christmas tree, neatly wrapped presents are spread in the snow around him. His reindeer happily stand by Santa, proud of the presents they have delivered.